Op een druk plein in de stad legde ik ongeveer 1000 suikerklontjes in een vierkant. Ernaast schreef ik “Candy for you”. On a busy square in the city I laid out about 1000 lumps of sugar in a square. Next to it I wrote “Candy for you”. 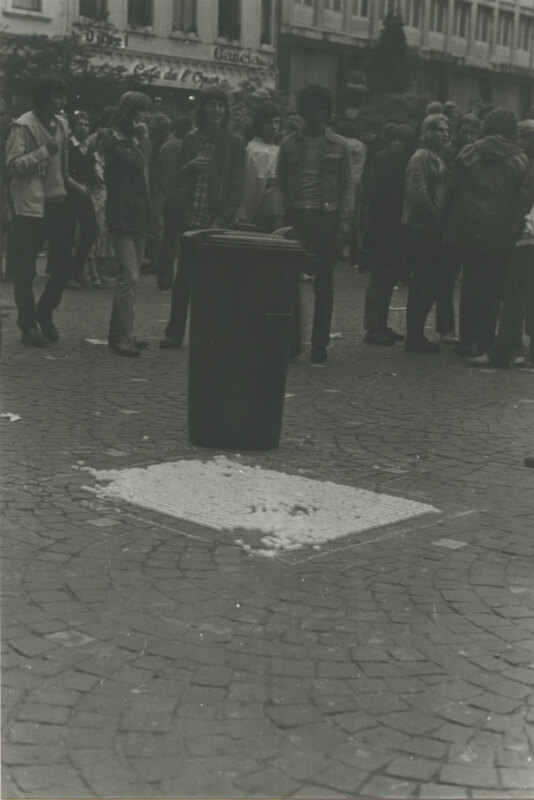 on Thursday 19th of July 1979 in Muntplein, Muntplein, Brussel, Belgium.